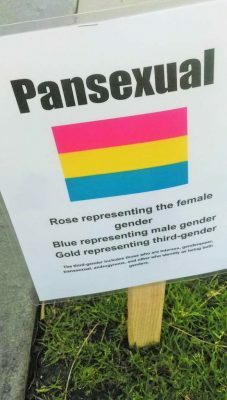 A Jesuit university employee who was suspended and investigated for the “hate crime” of believing in two genders has been reinstated by the school. Her identity was also revealed for the first time by the religious freedom law firm that took her case, the California-based Freedom of Conscience Defense Fund (FCDF). The law firm declined to tell The College Fix how it persuaded Loyola Marymount University in Los Angeles to reinstate alumni relations employee Gigi Kurz and remove the black mark from her record. The FCDF has filed a few defamation suits against institutions that allegedly smeared its clients. President and Chief Counsel Charles LiMandri even threatened to file suit against a law professor, the college that employed him and a newspaper for an op-ed that LiMandri said defamed him personally. “I was frantic and you calmed me down … And then you turned the table around on the whole issue to go on the attack,” Kurz continued, calling herself a new “lifetime contributor” to the firm’s work. Kurz told The Fix that she was on vacation and couldn’t comment on the resolution of the dispute until she returned. In a phone interview with The Fix, LiMandri said the FCDF asked the university to investigate the alleged discrimination committed by Kurz against the students, rather than simply take the students’ word for it, but he said the university ignored it. LMU said the request had to come directly from Kurz, according to LiMandri: “That’s the most ridiculous thing.” LMU did not respond to a Fix request for comment. As for the provisions of Kurz’s reinstatement, LiMandri said there was no “money exchange” and that there are “no restrictions whatsoever” on Kurz’s interactions with students going forward. But Kurz wasn’t the only one who emerged with a clean slate, he continued: The girls who felt targeted by Kurz were not penalized. The FCDF, which officially launched four years ago, publicized the resolution of Kurz’s dispute in an email update that also summarized its previous four victories for employees at academic institutions. It defended Robert Oscar Lopez, also known as “Bobby,” a California State University-Northridge professor who was raised by two lesbians but grew up to write articles supporting traditional marriage. LiMandri told The Fix that Lopez had said “in vitro fertilization isn’t good for kids because they don’t know their biological parents,” and that view made him a target at the school. The FCDF defended Lopez against allegations of misconduct and helped him keep his tenured position, though Lopez has since resigned, citing continued hostility from colleagues and students. Though it won the court case for Johnson, FCDF brought a defamation lawsuit against another teacher for “rumors” against Johnson and reached a confidential settlement in 2012. LiMandri didn’t specify what those rumors were. Another case where FCDF used the threat of a defamation suit involved University of San Diego Prof. Anne Hendershott, who wrote an editorial supporting President George W. Bush’s refusal to let a suspected terrorist into the U.S. 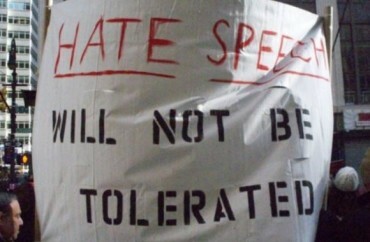 In response, a fellow faculty member launched a “student boycott” of her classes. According to the email update, the university suspended the boycott and made the faculty member apologize. LiMandri told The Fix that it threatened a defamation suit because that fellow faculty member publicly called Hendershott “bigoted,” but it was satisfied with the written apology. “We have found that most anti-Christian activists are really just big bullies, and like all bullies, if they actually have to fight, they’ll usually back down,” the email update reads. LiMandri’s personal threatened defamation suit concerned claims made about his own legal practice following FCDF’s lawsuit defending San Diego firefighters from compelled participation in a gay pride parade. 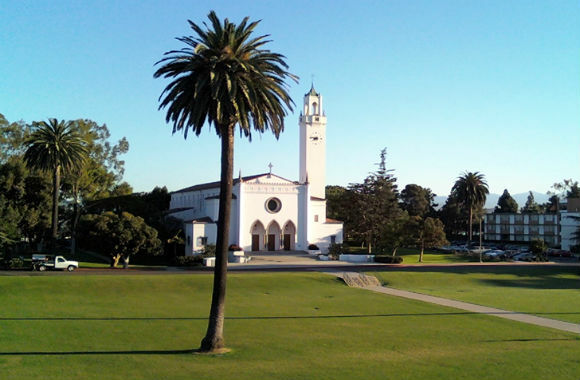 A professor had written in an LGBT newspaper that LiMandri could not both sue the city of San Diego and also represent it as a client, LiMandri said. At the time he was still representing the city in a case that had dragged on several years. 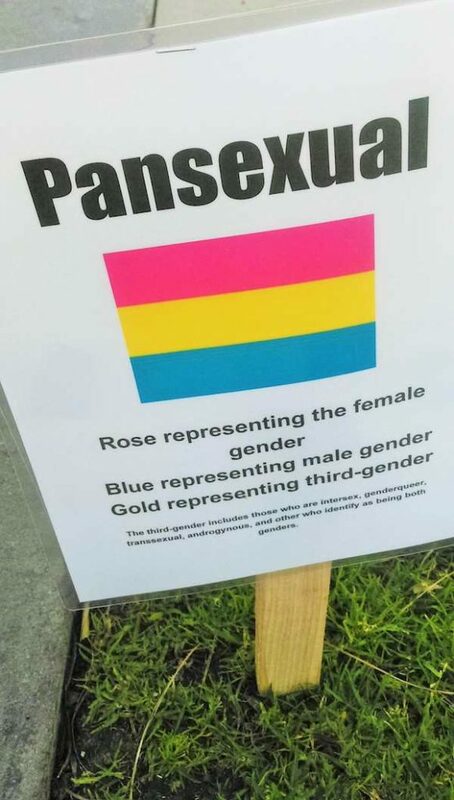 UPDATE: A photo of the pansexual sign that sparked Kurz’s conversation with the students has been added, with permission of LifeSiteNews.